The Vulcan Vent? Fire Proof Soffit Vents in 2" or 3" Sizes. When ordering 10 or more use Discount Code BLD10 in check out. This is an exterior vent that will prohibit both dangerous embers and fire from entering a structure during a wildfire. Vulcan Soffit and Eave Vents are the first to be accepted in the CBC Ch7A Compliance Policy by the Office of the California State Fire Marshal (www.osfm.fire.ca.gov). Vulcan Vent? systems resist the intrusion of flame and dangerous flying embers as called for in Chapter 7A of the California Building Code. 2) self-close when it senses approaching heat from a wildfire thereby prohibiting flame penetration. 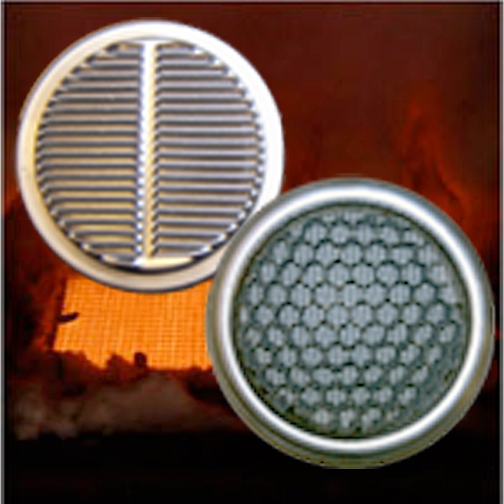 The Vulcan Vent meets the prescriptive code of the Wildland Urban Interface requirements for vents within California’s building codes. Newly written California fire code legislation includes a section stating, in part, vents shall resist the intrusion of flame and embers?. The Vulcan Vent, in many cases, has more air flow (NFVA, Net Free Ventilation Area) than other exterior vents claiming to stop ember and flames. In any property, there is a need for a specific amount of ventilation to prohibit mold, mildew and/or rotting timbers. The air flow capacity of Vulcan Vents is excellent. 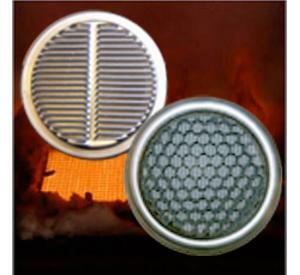 Even with their fire and ember blocking technology, Vulcan Vents, in many cases, have air flow equal to that of standard vents of the same size. Thus, property owners with new construction, remodel or retrofit projects would need to purchase and install twice as many of any other fire ventas would be needed of the Vulcan Vent. The use of a Vulcan Vent over another fire vent will cut down construction costs (material and labor) as well as make structures more aesthetically pleasing.